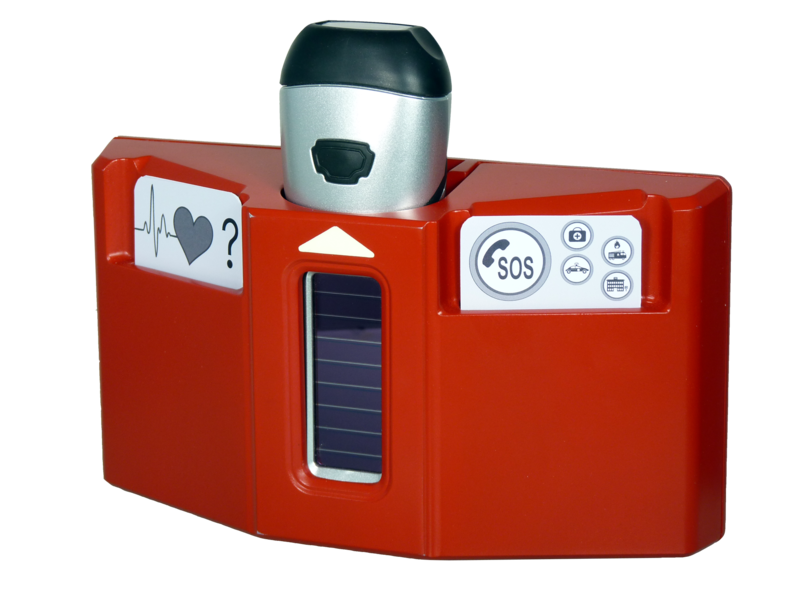 The POWERplus Husky wis a dynamo/solar emergency station with integrated card holders. Note all the important telephone numbers in case of emergency, fire, police, medical, friends etc. and/or cards with instructions in case of heart attack, first aid, burn wounds etc.